I wrote about some TV shows I’ve been watching on my other blog. I made a post about Gotham and Dr. Who on my other blog. Here is the link. I am enjoying both shows. Here is a post I made on Blogspot about Dr. Who. I am new to the show, but I am liking it a lot. I am a little over half-way through Dragon Prince and enjoying it immensely. The plot is engaging, the characters are great, and the imagery is excellent. Ms. Rawn has a subtle way with description, and she makes use of hint and suggestion, allowing the reader to use their imagination. Some of the themes are “mature” but she doesn’t get raunchy or graphic. For example, if her characters swear, she has them mutter an oath under their breath rather than say the actual words, and the action scenes aren’t overly violent. I hope to be finished with it this next week. 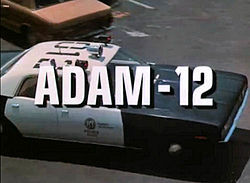 I’ve been watching Adam-12 on Netflix. It was one of my favorite shows as a kid, and I’m glad for a chance to reacquaint myself with it. I’ve been watching The Closer on Amazon Prime…The acting is great and the cast has a good chemistry. 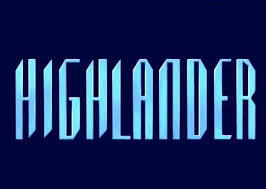 I’ve been watching Highlander on Hulu–Another older show I used to watch that I’m revisiting. I watched the first couple of episodes of Gotham on Hulu, and it’s an interesting take on pre-Batman Gotham City. The acting is great. I especially like Jim Gordon (Ben McKenzie), Harvey Bullock (Donal Logue) and Fish Mooney (Jada Pinkett Smith). I’m going to have to catch up with it later though, I do have enough to watch and keep me occupied. I’m looking forward to Thanksgiving, I do have a lot to be thankful for. I am delighted that Scott Bakula is on TV every week again…It’s been too long. 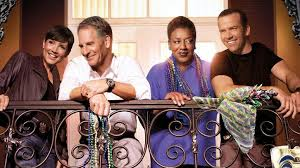 I’m enjoying NCIS: New Orleans. The characters have a good chemistry, and I love that they have had Scott play piano a couple of times. I am also very happy another season of Once Upon a Time has started. I am liking the Frozen story line. I think it’s imaginative and fits with the overall story.